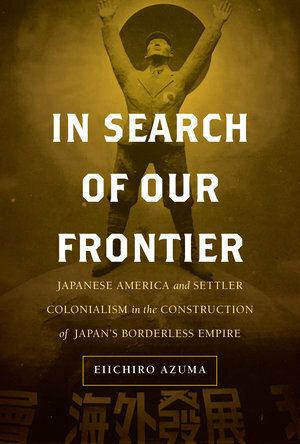 In Search of Our Frontier explores the complex transnational history of Japanese settler colonialism, which linked Japanese America with Japan's colonial empire through the exchange of migrant bodies, expansionist knowledge, colonial capital, and technology in the Asia-Pacific basin before World War II. Eiichiro Azuma outlines how the practices and thinking of members of pre–World War II Japanese America demonstrate a vital link between migration-led expansionism inside and outside Japan's formal colonial empire. The ideas and trajectories of these transpacific migrants exemplified a prevalent national structure of thought and practice that not only supported Japan's empire-building but also promoted the quest for national expansion. This book offers new interpretive frames and perspectives that will allow readers to understand Japanese settler colonialism’s capacity to operate outside the aegis of the home empire. Eiichiro Azuma is Alan Charles Kors Term Chair Associate Professor of History and Asian American Studies at the University of Pennsylvania. He is also the author of Between Two Empires: Race, History, and Transnationalism in Japanese America and a coeditor of The Oxford Handbook of Asian American History.